Thanks to Smiley360 and Bona I was sent a Bona Hardwood Floor Mop to review for free as part of a Smiley360 Campaign. The Bona Hardwood Floor Mop is a cleaning tool that is really easy to use and can navigate around all types of obstacles in my home. 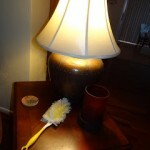 I used it around my dining room table and under and around furniture. 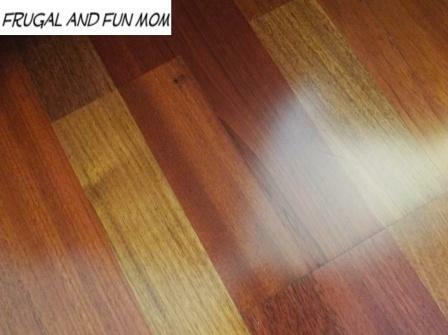 It got my hard wood floors clean really quickly, and I did not even notice a smell. My hardwood floors tend to look dull a day or so after steam cleaning because of foot traffic and my dogs dripping water from their water bowl. It was so nice to use the Bona Mop in between my full cleanings, instead of breaking out the steam mop every time I saw a spot. I also liked the fact that it comes with a refillable container, and I can wash and reuse the pad that comes with the mop. Bona products can be found at Bed, Bath, and Beyond, Walmart, and Ace Hardware Stores. All Bona floor care and maintenance products are GREENGUARD Indoor Air Quality Certified and many are certified for GREENGUARD’s more stringent Children and School Program. Source Smiley360. GREENGUARD is a non-profit, third party organization that tests indoor products for their environmental impact in an effort to improve the air quality consumers breathe. I was thrilled to know about this GREENGUARD certification, since I care about keeping pollutants out of the environment my children live in. You can visit GREENGUARD at greenguard.org to see other products that carry this certification. To learn more about these Bona Products, visit the campaign page at Bona Smiley360 Campaign or ‘Like’ Bona on Facebook for news updates and special offers. Currently, you can also sign up for Bona’s Mailing List and receive a $3 OFF COUPON. 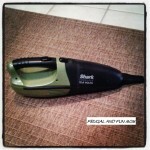 Thanks to Bona and Smiley360 I received a free Bona Mop in order to facilitate this review. Opinions expressed here are that of my own. To learn more about Smiley360 visit Join Smiley360. 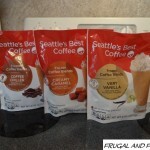 Seattle’s Best Coffee Frozen Coffee Blends Review and Giveaway! Print a $1.00 off Coupon and Be Your Own Barista!